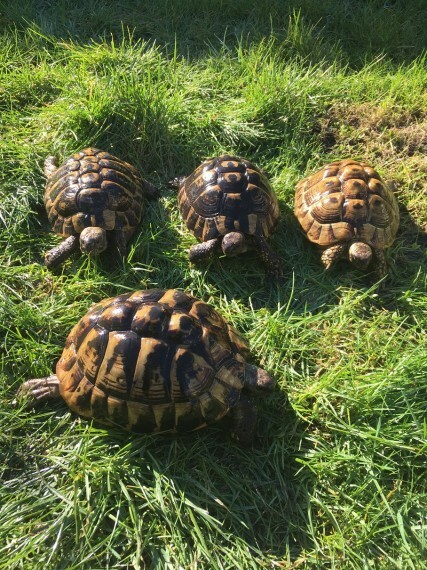 Breeding group of Hermann tortoises for sale with paperwork, they are out of hibernation now and back into their routine, the group consist of 1 male and 3 females and the ages range from 10 to 15. This is a very reluctant decision as I have been forced to downsize due to personal circumstances so I\'m only looking for good homes. The tortoises have been grown on a natural diet and are healthy with nice smooth carapaces. I would be open to serious offers on the pair/group however if i was to split then male 250, females between 300 and 350 each.